Is a method used for securing encrypted data while it’s moving from a source to a destination. With End-to-End Encryption, data is encrypted on the sender’s system and only the intended recipient will be able to decrypt it. Nobody in between (be they an internet/application service provider, surveillance programs or a hacker, …) can read or tamper with it – thus providing a great deal of confidentiality and protection to all communications. Is an equivalent of a handwritten signature or stamped seal, but offering far more inherent security. A digital signature is intended to solve the problem of tampering and impersonation in digital communications – and provides absolute authenticity and integrity to all messages. 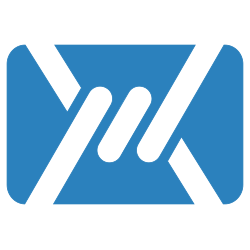 Mailfence secure and private email-suite encapsulates OpenPGP, a time-honored protocol designed by Phillip Zimmermann, which got further refined in RFC-4880 along with S/MIME protocol. Every crypto process encapsulates a series of different steps working back and forth between the client and the server over TLS/SSL – in order to successfully carry out a particular operation. Below you will find a step-by-step linear diagram that illustrates how Mailfence End-to-end encryption and digital signatures functions along with other relevant details. The client-browser requests the specific key-generation code from the server after receiving a request from the user – and the server sends that specific code to the client’s browser. The key then gets generated on the user device (in browser) and gets encrypted with the provided passphrase via AES-256. The public key at this point also gets published on public key servers (if the user has opted for that option as well). The encrypted key is then pushed onto the server from user’s browser – so that a user can access it any time from any device in a secure and protected manner. * For private key import (encrypted already with the user passphrase) – steps 1-3 will be skipped. The client-browser requests the specific passphrase changing code along with the related encrypted key from the server after receiving a request from the user – and the server sends that specific code with the related encrypted key to the client’s browser. User decrypts the key by providing the respective passphrase and encrypts it with the new one. The encrypted key is then pushed back to the server from the user’s browser. The client-browser requests the specific key revocation code along with the related encrypted key from the server after receiving a request from the user. The server sends that specific code with the related encrypted key to the client’s browser. User decrypts the key by providing the respective passphrase. The key then gets revoked and its revocation status also gets published on public key servers (if user has opted for this option). The key then gets encrypted back with user passphrase. Client browser then pushes the encrypted key back to the server. * For generating revocation certificate – In step 4, instead of revoking the key, the application will generate a revocation certificate – which user can use at any later stage to claim the key revocation. The client-browser requests the specific key exporting code with the related key from the server after receiving a request from the user and the server sends that specific code with the related encrypted key to the client’s browser. The user then exports (downloads) that encrypted key onto his device. The client-browser requests the specific key deletion code with the related key from the server after receiving a request from the user and the server sends that specific code with the related encrypted key to the client’s browser. The user then deletes the encrypted key onto his device. The client-browser requests the specific expiration date modification code with the related key from the server after receiving a request from the user – and the server sends that specific code with the related encrypted key to the client’s browser. User decrypts the key by providing the respective passphrase and modifies the expiration date. The key then gets encrypted back with user passphrase. The client-browser requests the specific digital signing code with the related key from the server after receiving a request from the user – and the server sends that specific code with the related encrypted key to the client’s browser. The composed email message gets digitally signed (PGP/MIME) and then sent to the recipient. The key then gets encrypted back with user passphrase and pushed back to the server. The client-browser requests the specific encryption and digital signing code with the related key from the server after receiving a request from the user – and the server sends that specific code with the related encrypted key to the client’s browser. The composed email message gets digitally signed (PGP/MIME), encrypted with the public key of the recipient (OpenPGP) and then gets sent. For a detailed “How to” user manual regarding end-to-end encryption and digital signatures, please check this link as well.